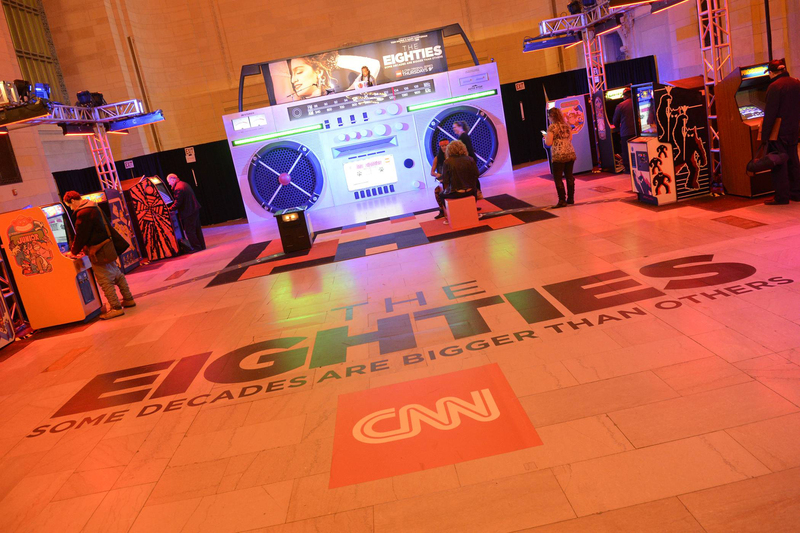 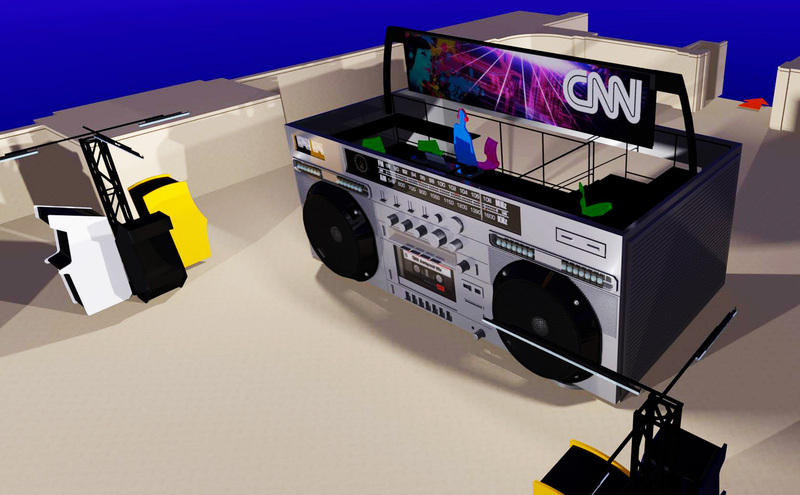 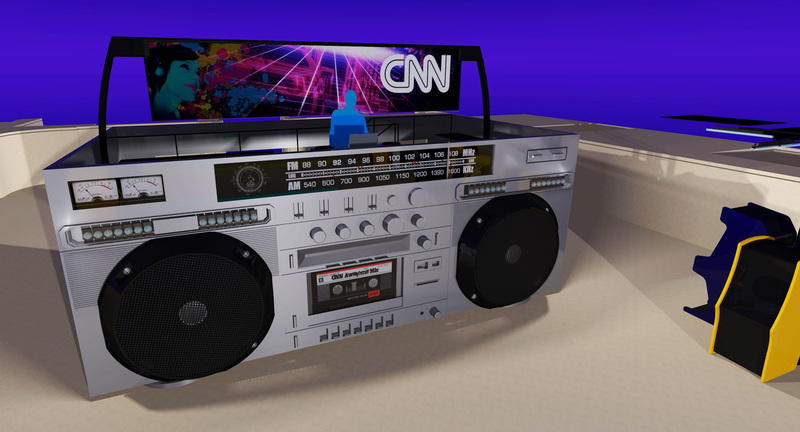 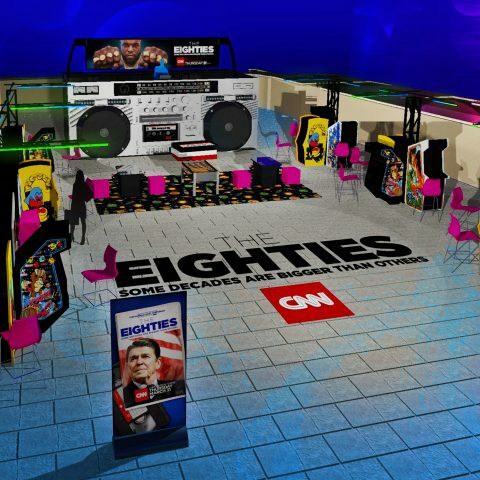 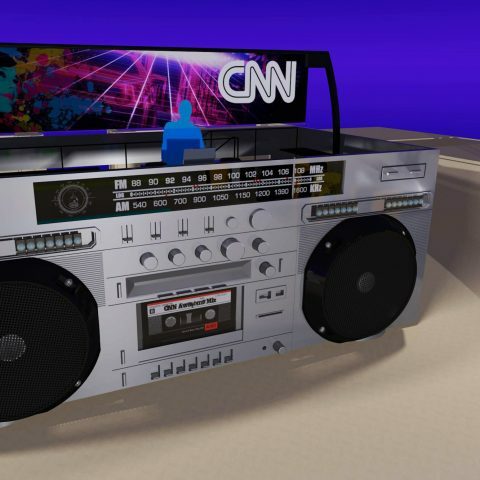 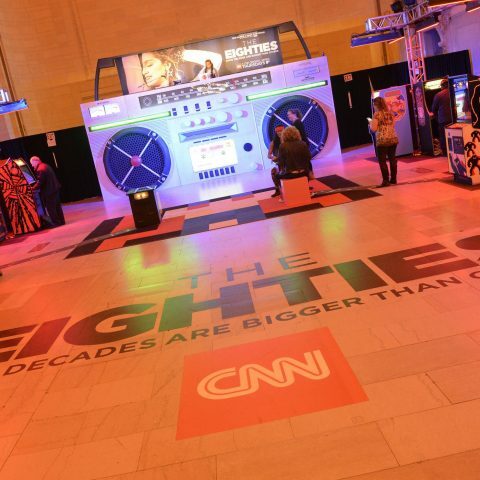 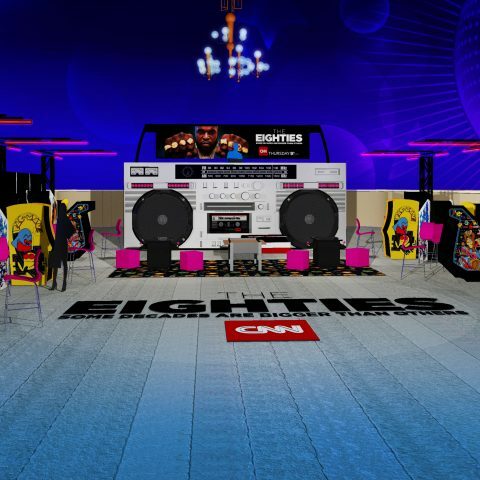 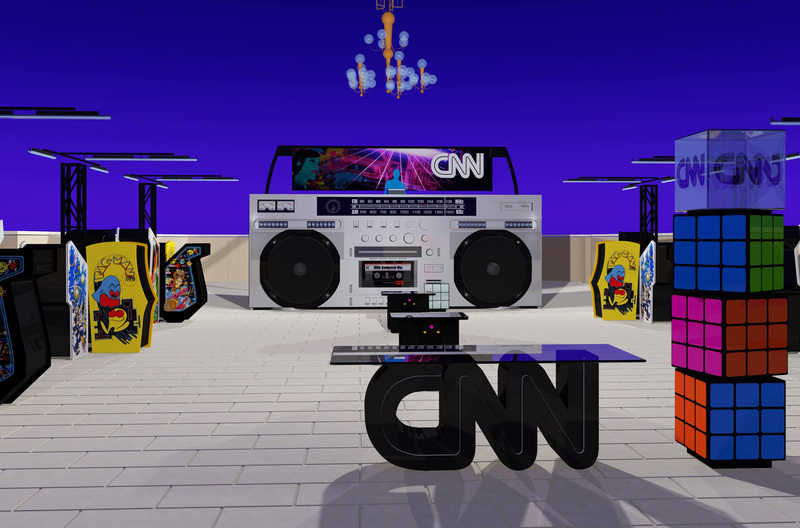 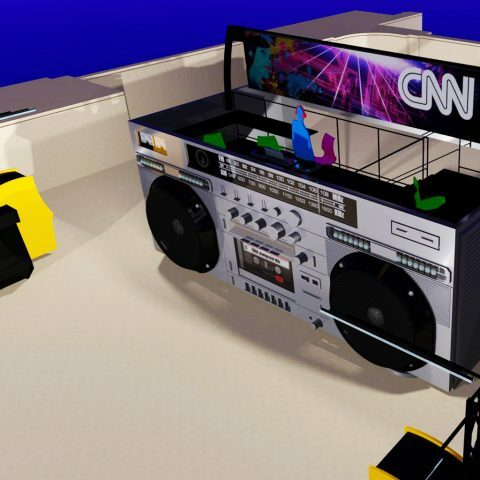 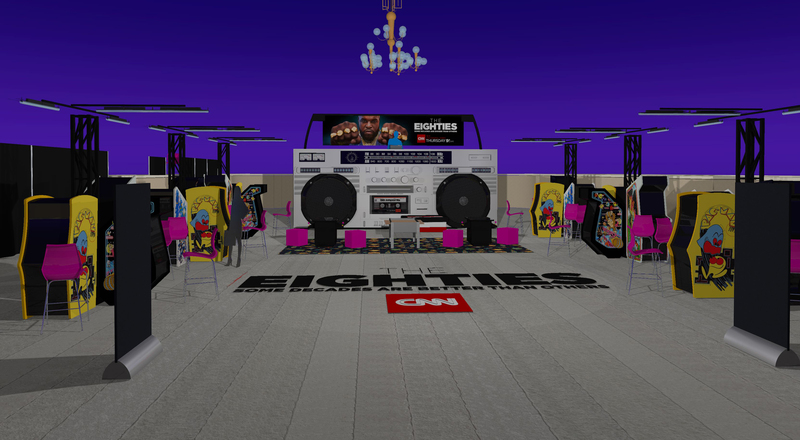 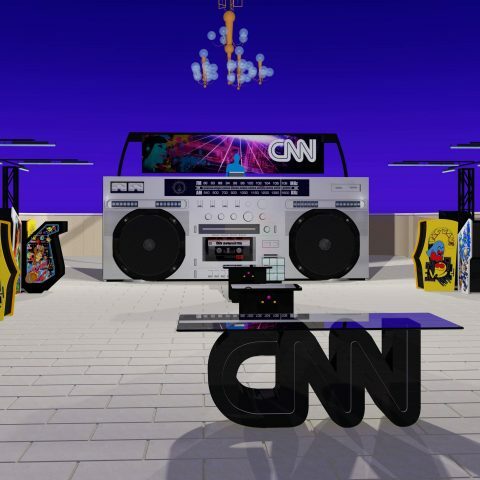 CNN 80’s promo. 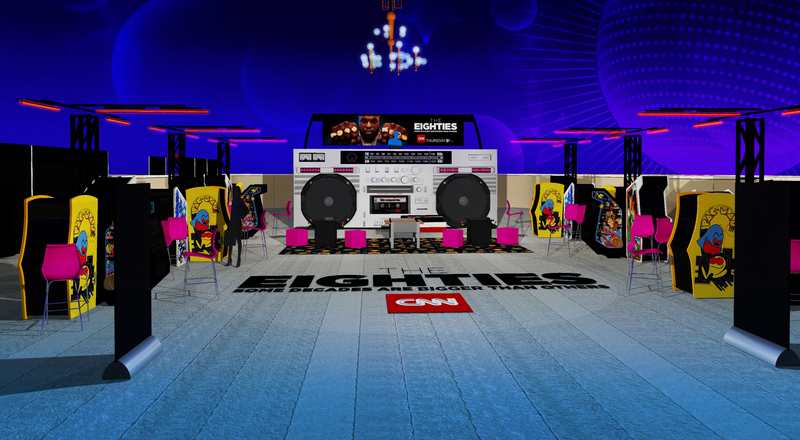 The boombox was 2 storys & the DJ was on the 2nd floor. 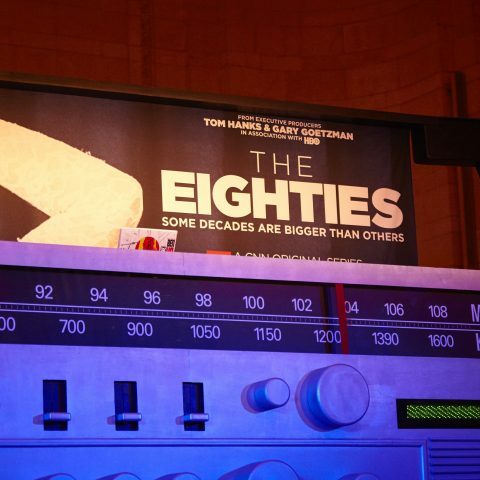 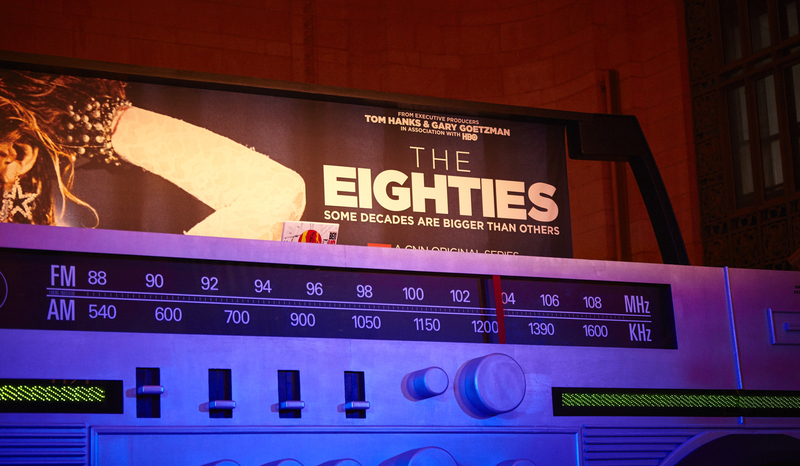 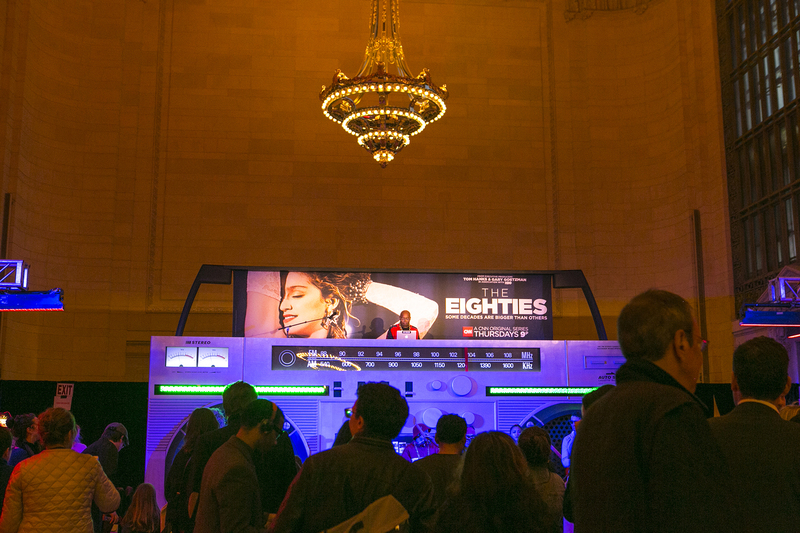 The cassette window was an 80″plasma with a cassette spinning. 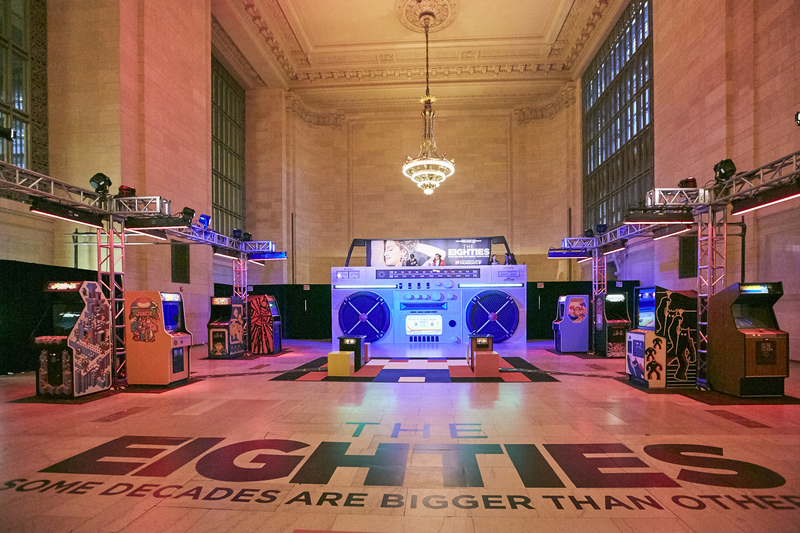 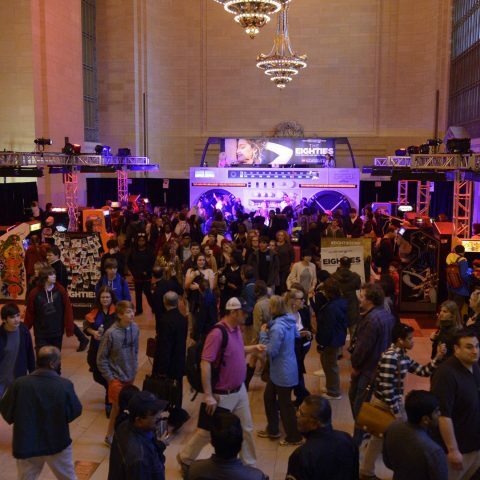 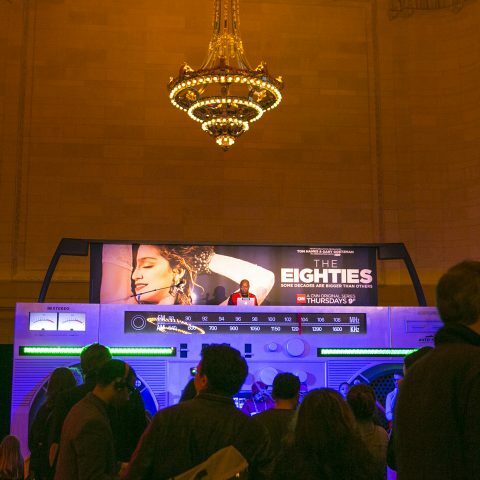 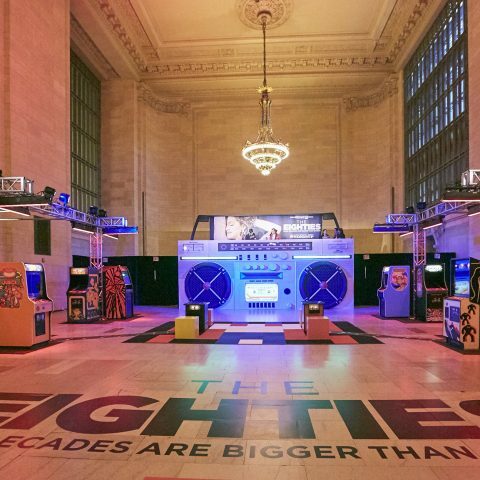 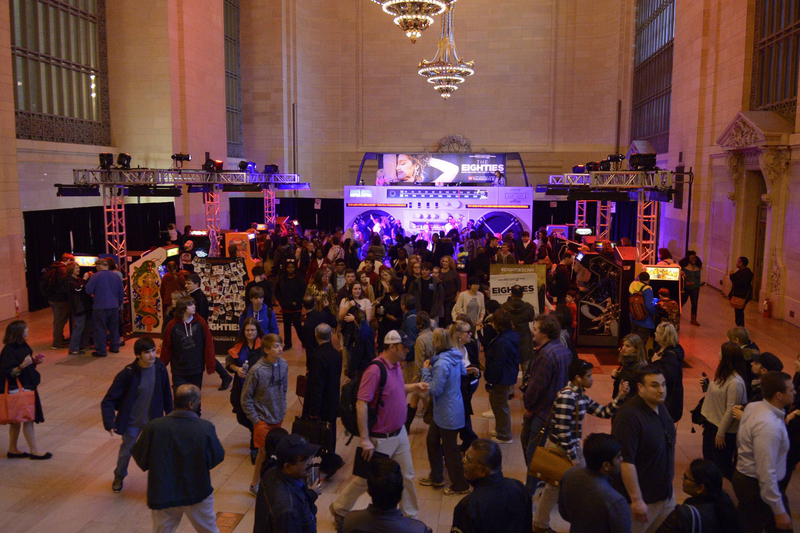 Lots of video games & neon made this a popular show at Grand Central.